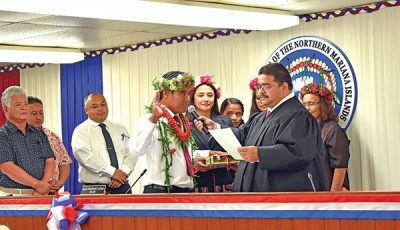 The author of a Senate bill that seeks to legalize marijuana use in the CNMI urges the House of Representatives to review and amend it accordingly after the lower chamber recently questioned the measure’s revenue-generating provisions. Sen. Sixto K. Igisomar (R-Saipan), author of Senate Bill 20-62, told Saipan Tribune that he requested to Rep. Ivan A. Blanco (R-Saipan), chair of the House Judiciary and Governmental Operations Committee, to review and act on the bill based on their judgment. “I hope they can take the time to review the bill and do what they need to do accordingly. I hope they give it their due diligence considering that [the Senate] has done our part and I hope that they do their part in taking care of the bill and doing what is proper,” he said. The House during a session last week agreed to refer Igisomar’s S.B. 20-62 back to committee level after fines and fees imposed along with the establishment of the Cannabis Commission, the regulatory body of the distribution and consumption of the substance. S.B. 20-62 seeks to legalize the medicinal and recreational use of cannabis while establishing the commission to regulate over the substance. Igisomar explained that the fees associated with the creation of the commission pertained to the industrialization of the substance once legal and is collected in order to “promulgate rules and regulations” for cannabis licenses. He added that the fees were to enforce the age limit of 21 for the use of the substance. In a previous interview, Blanco expressed his intent to just delete the provisions that imposed fines and fees. Igisomar said he was fine with that. “In the original version of the bill, when we provided those provisions in the Senate, our counsel did not believe that we were imposing on the authority of the House,” he said, adding that there was a provision in the bill that also mandates the House to introduce revenue-generating legislations after the substance is legalized. Igisomar said he continues to wait for the House’s move after conferring with their legal counsel.